One of a kind - a charming piece of the past on historic Pine Avenue. Two structures - one adorable beach house with a one bedroom guest cottage... Both re-done with eclectic Island flare... The main house features 3 bedrooms and 2 baths - and maintains the elements of days gone by...preserving charm while incorporating sensitive updates. The back cottage - adorned with funky wallpapers and bead board is a favorite among many years of returning guests and family. The covered lanai area for the main house is nestled within mature landscaping, enhanced by charming mosaics, a water garden, and a comfortable sitting and outdoor eating area. The guest cottage has its own patio also graced by tropical landscaping and fountain. 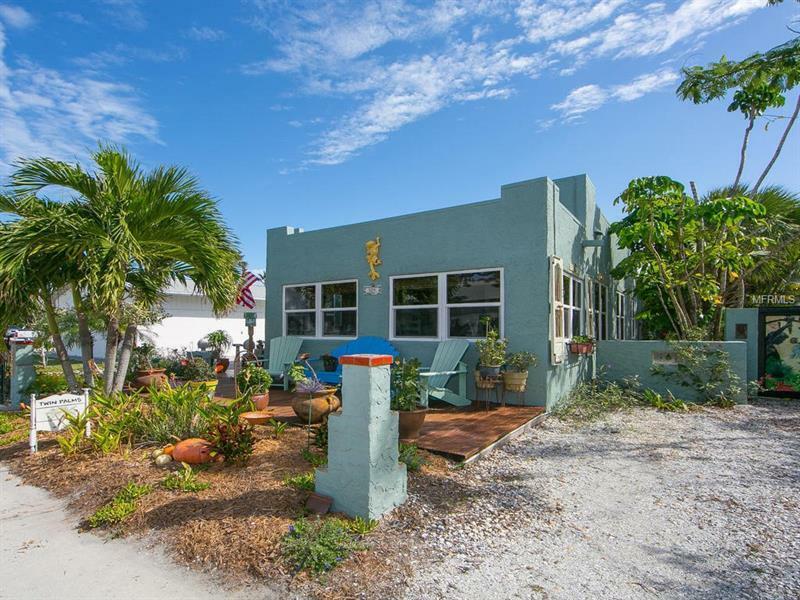 Steps to Tampa Bay, 4 blocks to the Gulf and zoned ROR.